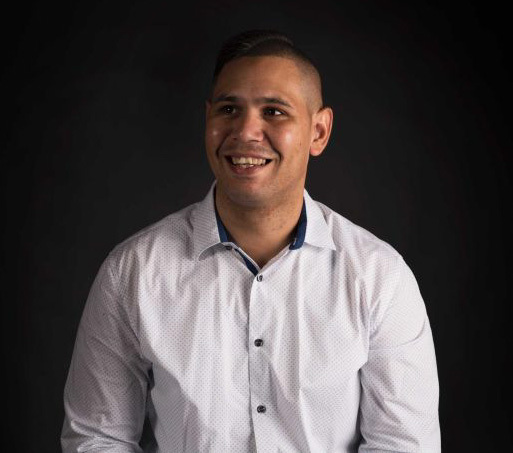 There are many different paths to community leadership, but probably none so rarely travelled as the one taken by Keenan Mundine. Alcohol, drugs, violence and police presence formed the background to Keenan’s childhood on the Block in Redfern in the early 1990s. His mother died when he was six, and his father soon afterwards. Keenan and his two older brothers, all of primary school age but now orphans, were soon split up and sent to live with various relatives. By age 14, Keenan had spent his first of many nights in juvenile detention. By his late twenties, he had spent more of his life in prison than out of it. Our Community Matters caught up with Keenan, now 31, the week he returned from a trip to Geneva last month to address the UN Human Rights Council. Our Community Matters: You were in Geneva to ask the UNHCR to pressure Australian governments to raise the age of criminal responsibility from 10 to 14 years. How did that come about? Keenan Mundine: It's in line with the advocacy work I do for Indigenous rights, particularly around the criminal justice system. I’ve worked with the Change the Record Coalition, which advocates and lobbies in Parliament for justice for Indigenous people, and looks for creative ways to go about it – not just imprisoning people and doing all of this stuff that has a very negative effect on the community and on people’s health. So people have heard my consistent voice and my consistent message. They wanted me to represent that message and be the voice of the people who are affected by the problem the most. I was very grateful to have that opportunity. You used that word “consistent” a few times. This is a cause you've been dedicated to for a long time. I've been doing this for about three years: sharing my lived experience of coming through the criminal justice system and then navigating out of that, how difficult that was and how difficult it still is, and the impact that it has on me still, making those choices. I've watched your speech in Geneva on YouTube. Describe what it was like being there. It was like a dream come true to be there. I was overwhelmed. I only had 120 seconds to deliver my speech, so I'm very grateful that the people who prepared me for it took the time to support me and get me prepared to take on this big challenge. As everybody could see, I was there by myself on the other side of the world, while my family was here. And I done it, man, I put my best foot forward. Hopefully people will take notice of the message and we can improve life for our young people and our children and our grandchildren. You had a hell of a rough childhood by any measure. There was a lot of dysfunction going on around you – violence, drugs, instability – and you were just a kid. Was there anyone during that time that you did look up to in a leadership role? My sort of leader and the person I looked up to the most was my oldest brother. I was very, very, very young when most of that traumatic stuff happened. So I don't really remember it. But what I do remember is my brother being there for me all the time, taking us to school, being the big brother that he could be at that time. Then they split us up. What other leaders have had a big influence on you since that time? Who have you looked up to? This has only come of late, with me learning the skills that I had to learn to survive, that I've come to realise I haven't been stable enough and in one spot long enough to have one person in my life longer than 12 months. I've been with my partner, now my wife, since my last incarceration, but she's been the only consistent person who’s been in my life long enough to make an impact on me. My heroes of history that I have read along my journey and come to understand and sort of aspire to be like: one of the leaders that influenced me the most in my work is Nelson Mandela, for me to push forward and make the change for my people that I need to make. It’s heartbreaking to think of not being in one spot long enough to have people as role models. A lot of people have asked me whether I’ve had mentors. I had no one to teach me any sort of, you know, skills to be the man I need to be, or a father or a husband. It's me piecing together the puzzle and the information that I picked up just surviving. I guess nobody in Australia has led the life that I've led as an Indigenous man and not just come out of it [the criminal justice system] but been a strong advocate for supporting and changing people's lives and leading the way. So I have to. I don't know anyone who's done it, so I guess my future and the goal for me and my wife in the work that I do is just trying to find the pathway to get there. Taking it day by day, little strategies and little programs and little partnerships and work to be able to [make changes] not just for myself but for my family, my community, my people and my country. One day at a time. [I want] to help people understand, man, how difficult it was for me to move away from one life and create a whole new life at 25 and a whole new identity. Man! And do the amazing work that I'm doing, and to be able to put all of that negativity and that life behind me, and promote nothing but peace, love and positivity. Tell us about the work you’re doing now. My consultancy, Inside Out Aboriginal Justice Consultancy, has gotten a couple of contracts: with Shine for Kids, and I work now closely with the out of home care agency, where I provide cultural support for them. I'm developing and building a mentoring program for the kids in their care and emergency care, and I work with them, their staff and their board. On the weekend I operate a detached-youth work program from 4 pm till about 10 pm each night. It's an early intervention and prevention program. We're targeting young kids out on the street that are at risk or un-engageable or do not access inhouse facilities, so they don't engage with community services, because of their behaviours, their lifestyle and their personality. They don't fit in. They get banned from these places, so they drink in the park and hang out and get up to risky behaviours. I'm in negotiations with a prison to be the first ex-offender privately contracted to go back in and facilitate a program. I think the biggest thing for me is just to be me, stay true to my message, be consistent and be accessible to the young people in the community. To be a role model by leading by example, by staying out of trouble, being a family man. I'm not preaching to anyone, I'm just showing them that I've been there and I've made some really, really bad choices. And those choices affected me beyond any sort of reality I could comprehend. This is why I love the work I do: I share my story and my message the way I am. I say: if you guys want to go there, it's going to be really, really hard to come back, and I want to prevent that. Are there any generalisations that you can make about what Indigenous leadership is like? You can't label yourself a leader. Being a leader, especially an Indigenous leader, or being given that title, that's an endowment; it's bestowed upon you by the community. You can't just come out and label yourself a leader. If that's what my people see me as, man, I'm very, very honoured. Being a leader means knowing the journey and knowing how to get to the destination and having the right people around you. Being a leader in the Indigenous community, especially as a man, you have to be a trailblazer and walk a path that nobody's walked before. You can't be a leader if you're walking a path that somebody's already walked, because that automatically makes you a follower. It’s interesting you say it's different for men. Yeah. I've been thinking about this recently. This year’s NAIDOC Week theme was "Because of her, we can". Everybody is acknowledging the women in our communities. For any Indigenous person to do what they're doing today, they were nurtured by a woman. For any leader, it needs to be recognised that their traits came from their mum just as much as from their father. But in Indigenous communities, and for me personally, most of our men, statistically, are removed or in prison or dead. So all of our men today are being raised in communities by women. Aunties, nans, mums, sisters, cousins. There are hardly any men that are raising our children out there. It needs to really be acknowledged. It’s not just my theory or my thought process, but the stats. All of our men are taken away, in custody, in prison or mental illness, which means our children are being raised by women. That, to me, goes to show the strength of the women, not just women in Indigenous communities, but every community. I heard someone say recently, “If we as a country listened more to our Indigenous leaders, we wouldn't be in the mess that we're in." How would you respond to that? If you're going to talk about Indigenous people in the criminal justice system, the best person to speak to about that is [someone like] me. You can’t take away my lived experience, my knowledge and my expertise of going through this system that is set up, from the police, to the courtroom, to the detention centres, to the parole system, to coming out. I've been from the front end to the back end, from the top end to the bottom. And you know, when working and developing new things to support people like me, there has never been anybody to sit at the table and help identify the best ways to support people coming out of poverty or marginalised communities or criminal justice systems. So it's time to listen and work with us. You know, it's our community, it's our country, it's our family, so let's just work together and tackle it and we’ll all just sit down and listen to each other and make this happen. I don't want to do all the work as an Indigenous person. I want to empower everyone in our country to understand the potential, what Indigenous people have, what people from problematic and marginalised and poor socio-economic communities have in terms of their lived experience and their expertise to be able to help. That grass roots level knowledge and power and support. That's the way in which my community and Indigenous people have operated for 40,000 years. And that's how we continue to operate.